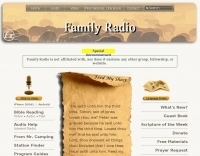 Amateur Radio Clip Art - Amateur Radio pictures to add Interest to your Website. Jpeg, GIF and Animated GIF files available to download. Amateur radio clipart and animations - Amateur radio clipart and animations. Zed Zed's Clip Art - Amateur radio clip art for web pages, desktop wallpaper, newsletters and more! Search only in "Clip Art"